We absolutely love finding out that local health officials and water quality experts in areas have banded together to provide low-cost testing to local residents. Today’s water testing good news came to us from Michigan where residents of Antrim, Charlevoix, Emmet, and Otsego counties can take advantage of two different testing packages for nominal fees. It may look crystal clear, but don’t let that fool you; contaminants could be lurking. 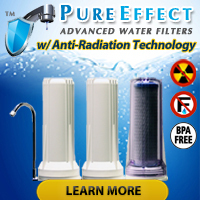 The only way to know for sure if your home’s drinking water is safe is to have it tested. The U.S. Environmental Protection Agency recommends having well water tested every year, and the best time to do so is now, in the spring after a few rainy days. So, for less than $40 residents of Antrim, Charlevoix, Emmet, and Otsego counties in Michgan can have their water tested for coliform bacteria (including E. Coli), fluoride, chloride, hardness, iron, sodium, sulfates, and nitrites. We consider THAT a really great deal! OK, but what about everyone else? If you live close to those counties but not actually in any of them, the article concludes by saying, “For more information about well water testing, visit www.nwhealth.org or call your local health department office.” — and we could not have said it any better than that. Looking for test kits for home use? Although all of us at Water Testing Blog highly suggest that private well owners get their water tested annually by a certified water testing laboratory such as National Testing Laboratories or one recommended by your local Health Department, if you would like to test your own well or ground water we can definitely point you in the right direction. 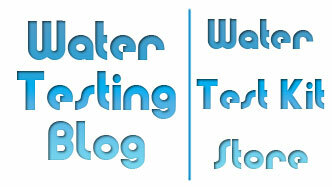 You will find the full selection of test kits currently available on the Water Testing Blog Store’s Main Page.